Adhering to the ethos of delivering world-standard wellness experience, we offer comprehensive salon treatments using the best of products by leading hair care and skin care houses. The plush ambiance with a soothing tone is only the beginning of your relaxing experience at the Three Graces Salon. 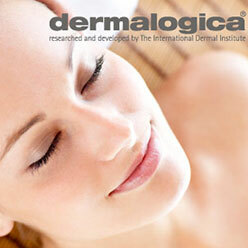 Redefine and restore your skin’s health with our Dermalogica skin treatment facials and skin care products. Formulated with purifying anti-aging plant extracts, these skin care products suit all skin types and address a wide range of issues like acne and breakouts, uneven skin tone, aging signs, sensitivity, redness, dryness, etc. Boosting volume, thickening hair, or addressing hair fall, treat your locks with the Rene Futerer Hair Spa, a holistic solution made of essential oils and nourishing botanicals. The product has active ingredients which enhances the health of the scalp and of the hair. This treatment cures an oily scalp, hereditary and incidental hair loss, and dandruff along with many other common hair problems. To guarantee optimum results from the Rene Futerer Hair Spa, we begin with scalp and hair analysis to decide the best products and treatments for your concern. This is followed by a scalp massage and application of follicle-stimulating product to restore scalp health. Our hair therapist will then wash your hair and treat the strands with intense conditioning masque to restore and revive the moisture. Lastly, the scalp and strands are massaged with root-strengthening serum to give you a shinier and smoother wearable look that lasts even after months of appointment. 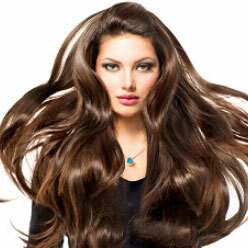 Add protein and nourish dry, damaged, colored, chemical-treated, and unmanageable hair with Keratin. We ensure shinier, thicker, and healthier hair that you’ve always longed for within few sessions. We believe that beauty without great hands & feet is incomplete. Hence, we use aromatic Ayurvedic massage oils and other world-class pampering solutions that nourish, refresh, and energize your hands and feet. 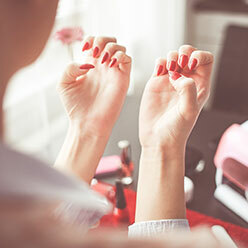 We recommend nail care and cuticle repair with our range of products from international brands before you select your favorite nail art style. Spa Ritual – renowned vegan product to treat your hands and feet with sheer comfort – is also available at our salon. Let us aid you in being the cynosure of all eyes on your special day with our pre-bridal glow treatments. 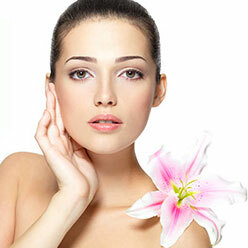 To learn about our different top-to-toe treatment packages, click here. Textures, colors, patterns, our stylists know it all to give you an exotic Greek Goddess look. They ensure that you get a desirable dramatic summertime or wintertime look but not at the expense of safety. We only use avant-garde products to work on your exotic experiment. We also offer the healthiest professional eye lash extension, Novalash to give smoky eyes without mascara. Book an appointment with us now for comprehensive and affordable Salon services.